The Club is located at the east side of campus, near California Memorial Stadium. From Interstate 80 take the University Avenue exit. 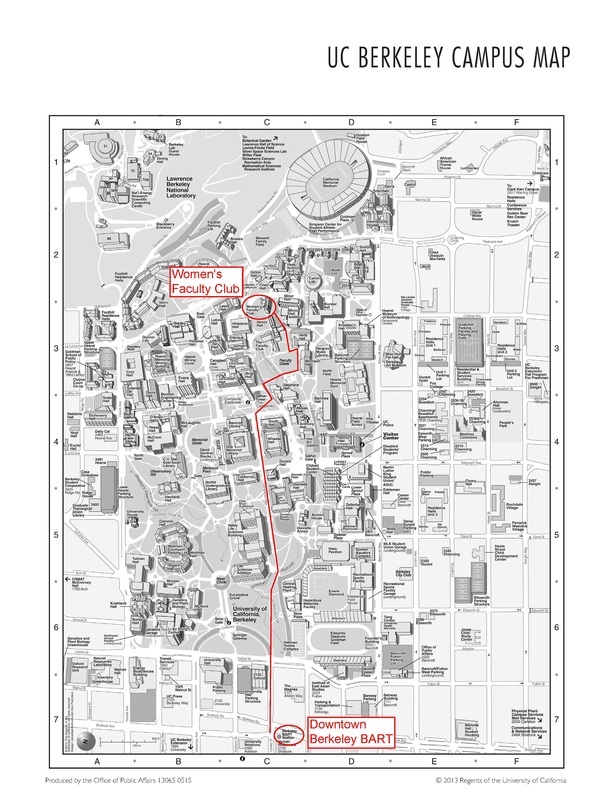 Follow University Avenue until reaching the western edge of campus (about 2 miles). Turn left on Oxford and then right on Hearst which is the northern edge of campus. Turn right on Gayley Road, then turn into campus just past the Haas School of Business at the sign for the Faculty Clubs. Follow the signs to the Club.